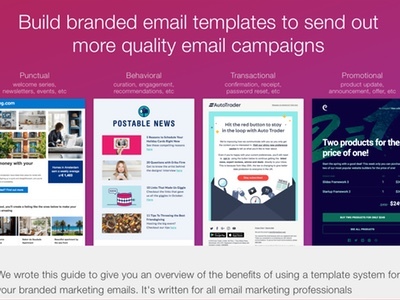 Our guide to using templates to for your email campaigns is now up in its entirety! 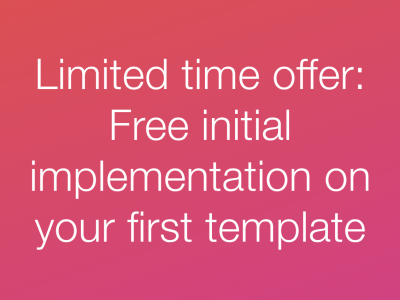 From planning your workflow, to designing modularly, coding efficiently and managing content. 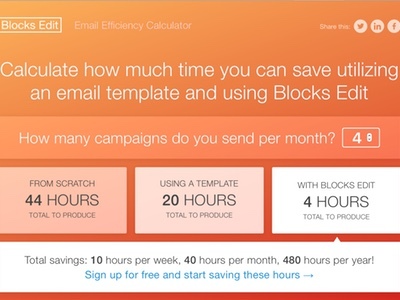 Along with our guide, we've also added a calculator that shows how much time using an email template helps you save and even more time when using that template with Blocks Edit.